LOOKING AT THE RESULTS of last weekend’s civic election, it might seem that despite all the efforts to get more women involved in local politics, nothing has changed. Two key members of the current council — Pat Wallace and Tina Lange — decided not to run again. I’m proud to call both my friends, and to have served with them over the years. They will be sorely missed. 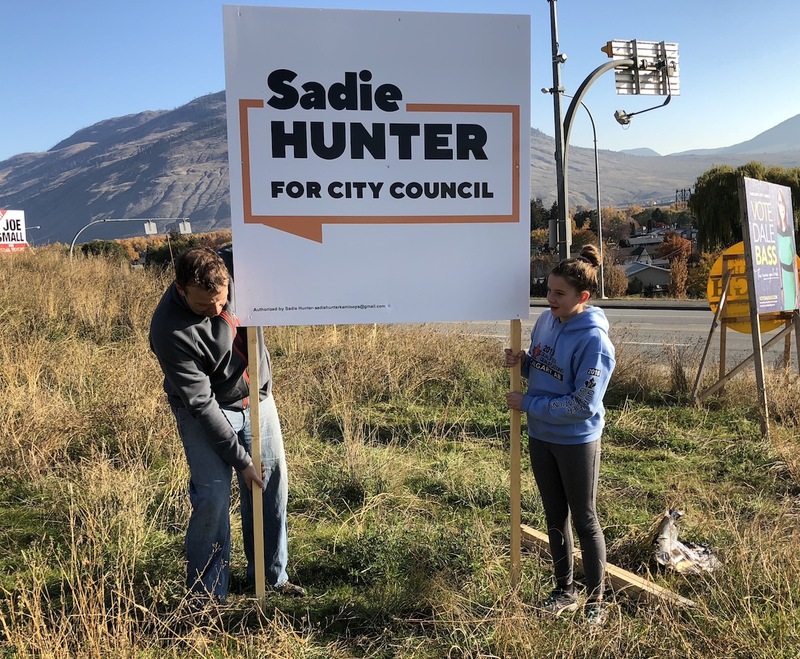 Fortunately, two new female councillors — Sadie Hunter and Dale Bass — have been elected along with incumbent Kathy Sinclair to maintain the status quo on gender balance. The count — three women and six men. True, it’s a shame there wasn’t room for other quality newcomers like Jennifer Adams, Caroline King, and others (not to mention male counterparts like Gerald Watson) but their time will come if they don’t give up. Only seven of the 21 candidates for councillor were women, so that’s not a bad result. In 2014, 11 of 28 candidates were women. So only 27 per cent of the women who ran four years ago were elected, while 43 per cent were elected this year. But the real news is the Kamloops school board. Seven of nine trustees are women, the same as the last board. The lesson in this is that if women run, they get elected. So the challenge is to get more women to run. But one step forward, one back. By my count, 24 B.C. women were elected as mayor this past Saturday. But there are close to 90 mayors. The new mayor of Merritt is Linda Brown, and the new mayor of Clinton is Susan Swan. The incumbent mayor of Logan Lake is Robin Smith. But Jessoa Lightfoot of Lytton and Virginia Smith of Barriere retired and are being replaced by men. Kamloops has had only one woman mayor, Kenna Cartwright, in its entire history. So, there’s good news and bad news when it comes to B.C. women in local politics. The more women who can be persuaded to run, though, the more good news there will be. There is some consideration that women have “intuition”; perhaps something to do with a connection between the left and right hemispheres of their brains which apparently doesn’t exist with males. In most cases, I have been better off listening to the advice given by my spouse rather than ignore it and do things in a stubborn fashion. Yes, some women can have the wool pulled over their eyes but others can recognize barnyard waste when they encounter it. Let’s hope our newly elected women on council do have the connection between the right and left hemispheres, they have a special intuition about things and don’t need specialized male body parts to stand up for what should be done. Capable candidates in my opinion need to be a bit scholarly, well read and experienced at life. They also need to have a breadth of knowledge, be passionate and compassionate. This is not a gender issue. Women are not necessarily better decision makers.